Did I like it? I had unrealistically high expectations. It was fine. Was it easy to make with readily available ingredients? This was very, very easy to prepare. It really helped that I used broccoli florets that were cut and bagged from Trader Joe's and canned, diced, fire roasted tomatoes (Muir Glen has an organic, no salt version of these). 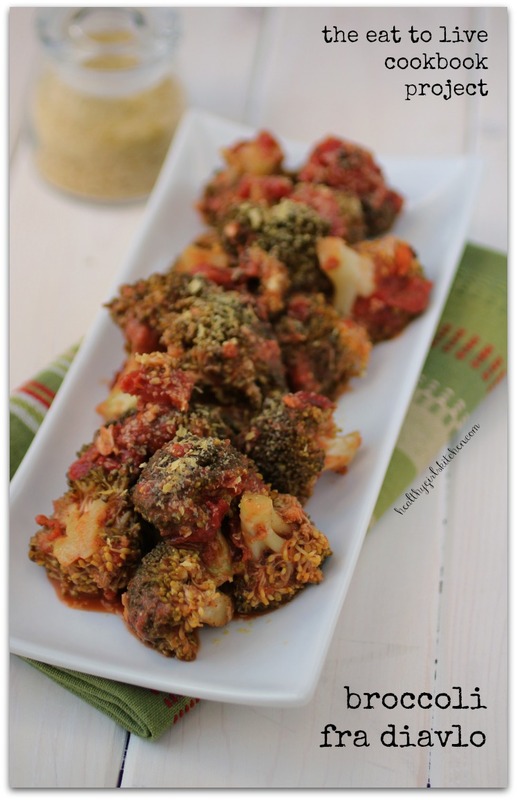 Related Post "The Eat to Live Cookbook Project: Broccoli Fra Diavlo"